Getty ImagesYou don't need to be a "gold bug" to see the value of mixing this precious metal into your portfolio. Gold is considered to be the world's first currency. 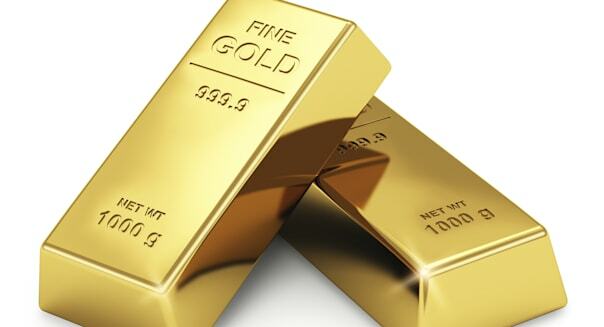 The yellow metal was melted into gold coins created by King Croesus of Lydia around 550 B.C. and circulated in many economies well before the creation of paper money. Today, Western investors view gold as an alternative asset, a commodity, a quasi-currency, a portfolio diversifier and an inflation hedge. So-called "gold bugs" invest in the metal to protect against global gloom-and-doom scenarios. But average investors might want to diversity into gold as well, experts say. Portfolio diversifier. The goal of any balanced portfolio is diversification, and gold can play a part, experts say. "You want a portfolio of noncorrelated assets, and the statistical correlation between gold and stocks is virtually zero," says Jeff Christian, managing director at New York-based CPM Group, a commodities research consulting firm. %VIRTUAL-pullquote-An allocation to gold has been shown to protect and enhance returns while reducing volatility.%Returns aren't too shabby, either. From 2001 through 2014, the annualized return for holding gold bullion was just over 12 percent, according to Peter A. Grant, chief market analyst at USAGold, a Denver-based coin and bullion investment firm. "An allocation to gold has been shown to protect and enhance returns while reducing volatility," Grant says. Safe haven. Gold has traditionally been viewed as a safe investment that climbs in value during times of geopolitical crisis or political instability. "A lot of people who invest in gold look at it as insurance in your portfolio against catastrophic financial market failure, severe economic problems or war," Christian says. For example, one of the factors that helped propel gold to its all-time high in 2011 above $1,900 an ounce was news that Standard & Poor's downgraded U.S. government debt for the first time. The downgrade occurred after a debt ceiling battle in Congress that took the U.S. to the brink of default. "Gold is first and foremost money. Money that cannot be printed or debased. It therefore insulates its owner from the negative outcomes historically associated with fiat [paper] currencies," Grant says. Inflation hedge. Gold is considered a classic inflation hedge because its price tends to rise during inflationary periods, and it tends to rise as consumer prices increase. "As one's cost of living increases, so too does the value of one's gold holdings, thereby protecting purchasing power," Grant says. "With interest rates remaining near zero and monetary bases continuing to expand in many quarters, a return of inflation is a definite possibility." For the average U.S. investor looking to buy gold at today's prices, one ounce costs about $1,200. Gold has been vulnerable to price swings, however, including a sharp sell-off in 2013, so some experts suggest limiting it to a small portion of your portfolio. Here are several ways investors can diversify with gold, including buying coins, investing in gold mining companies or investing in exchange-traded funds that are backed by physical gold. Gold coins. Christian suggests retail investors allocate between 2 percent and 10 percent of their portfolio to gold. "For the average small investor, the best way is through gold coins: Maple Leafs and American Eagles. There is something nice about having a gold coin in your sock drawer or safe," Christian notes. Storage is certainly a consideration for investors buying physical gold, and many gold investors use safe-deposit boxes or home safes, Grant notes. ETFs. Another way investors can gain exposure to gold is through ETFs, which hold baskets of securities and trade like stocks. "For a long period of time, people only had the choice of a pair of earrings or a gold bar buried in hole in the backyard, but ETFs democratized access to gold," says Ben Johnson, global director of ETF research at Morningstar (MORN), a Chicago-based independent investment research firm. With ETFs, investors can buy as little as a single share, and they're also cost-efficient, charging relatively low annual expenses, Johnson says. The two largest gold ETFs are SPDR Gold Trust ETF (GLD) and iShares Gold Trust ETF (IAU), which are physically backed gold ETFs. "Our favorite is the iShares gold [fund] because it is cheaper to own," Johnson says. In terms of annual expenses, iShares compares favorably at 0.25 percent a year versus 0.40 percent for the SPDR fund. Gold stocks. Buying shares of companies that mine for gold is another alternative. These stocks can represent exposure to gold, but in recent years gold mining stocks as a group have underperformed gold's actual returns due to company-specific operational issues, which include projects failing to deliver as expected or even open, notes Kristoffer Inton, equity analyst at Morningstar. For investors looking for a pure gold play, bullion or ETFs could be a better choice, as company risks and operational costs can cause a divergence between the price of the underlying metal and the gold mining share price. Yamana Gold (AUY). Yamana has a portfolio of mines throughout Central America, South America and Canada. "Recent mine openings have been disappointing, but we think the project pipeline is still healthy and should provide meaningful low-cost production growth. In addition, the company is exploring strategic alternatives for its underperforming mines," Inton says.